About 6 years ago I wrote an article based on MAC cosmetics being vegan, I found info online and made a list. Well, I get emails weekly about it. Then I decided to let Cruelty Free Face post my list and it has been down lately. My boyfriend told me just to post the list and I am finally just going for it. Before I give you the list here is some info that will help you with MAC. Each counter should have a book with ingredients - ask to see it. Usually neutral colors (think brown here) will be free of carmine. Customer service online is great if you ask a question through live chat, they are also friendlier than asking someone working at a counter - let's face it cosmetic counter workers can be snobby! This list is not complete, it is rather old but gives you a starting point so you can be aware of vegan items. 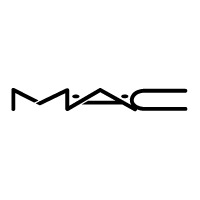 Currently my MAC makeup stash is low, I use a few products but not many, my makeup collection is a mix, maybe I will go through it and post one day! Hi, thanks for the list of products that DO NOT contain carmine. A question though, is carmine excluded in the ingredients list on the packaging? On each package it will say carmine or +/- (may or may not contain) carmine. Thanks for your reply. So isit safe to conclude that if it is stated ' +/- or may or may not contain carmine' means there is no carmine? Im looking at my ricepaper packaging and its states '+/-' with a whole bunch of stuff including carmine. As the list above stated there is no carmine in rice paper. Mac ruby woo lipstick does contain carmine as well eyeshadows (all that glitters, naked lunch, expensive pink).